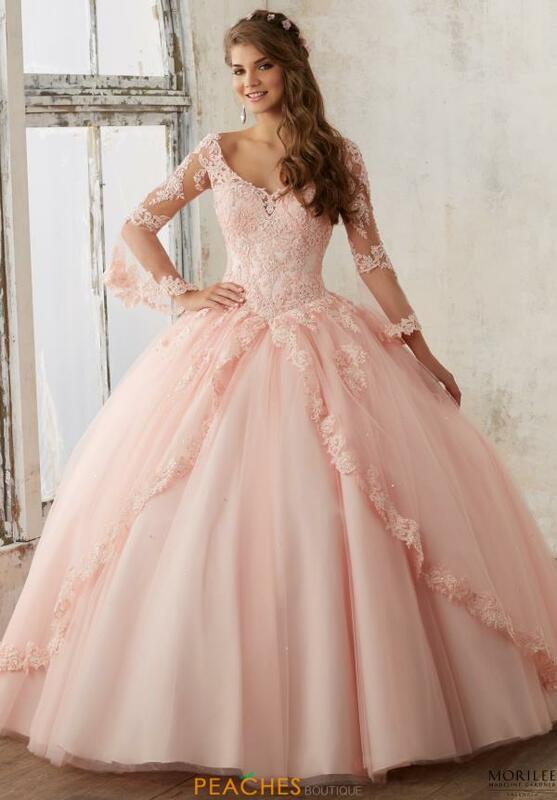 Romanticize the room in this enchanting Vizcaya ball gown 60015. Delicate applique drenches the bodice, which is paired with a classic scoop neckline and sheer long sleeves for the ultimate princess feel. A full tulle skirt features a unique split front overlay as the back has a classic lace up closure. Shop for the perfect accessories at Peaches Boutique in Chicago.